A fatal motor vehicle accident has occurred in the 14000 block of Taylorsville Road near the Gene Snyder Freeway and J Town. The names of the victims has not yet been released, but have been identified as a man in his early 20s and a woman in her late 30s. The woman was driving a tan Jeep Grand Cherokee and the man was driving a red Acura. The accident is still under investigation. The police arrived at the scene around 11:43 p.m. Sunday. Police are speculating that one of the vehicles crossed the center line into the other lane of on coming traffic and caused the Louisville car crash. Both vehicles came to rest on opposite sides of the road. Alcohol and car speed has not yet been ruled out as a factor. Anyone with information about this auto mobile collision is asked to call the Louisville Metro Police at 574-LMPD (574-5673). The families of these victims may need to have their own independent accident re-constructionist examine the scene of this crash to further determine who is at-fault. The at-fault driver’s Estate and insurance company will be liable to the non-at-fault driver’s Estate and family for damages and injuries stemming from this crash, which would include wrongful death damages. For more information on the rights of people injured or killed in Kentucky auto accidents, contact Kentucky car crash victims attorney Brent T. Ackerson & the Ackerson Law Offices at (502) 882-5176, for a free consultation, or contact attorney Ackerson on line and via email. 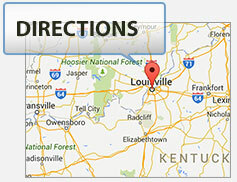 by clicking hereYou can visit our firm’s website, kyfirm.com, by clicking here.